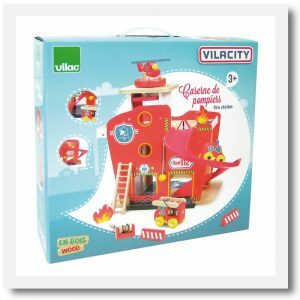 The Vilac Vilacity Toy Fire Station is a must for all junior firefighters. 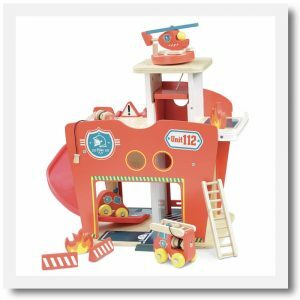 It’s a sturdy wooden fire station on 2 levels with a helipad on the 3rd level. 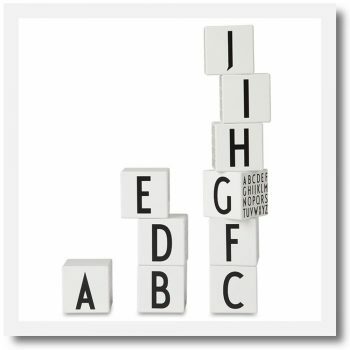 There’s a manual lift to transport up and down and with a plastic ramp that runs between the first and second floors, as well as an opening and closing garage door . The toy fire engine has a hose and a ladder in readiness to tackle any fire emergency. 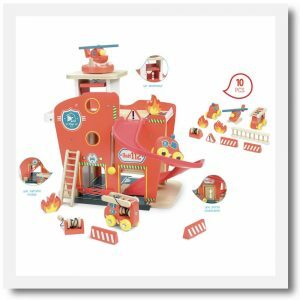 This is a fun role play set with lots of accessories for hours of fire rescue play. 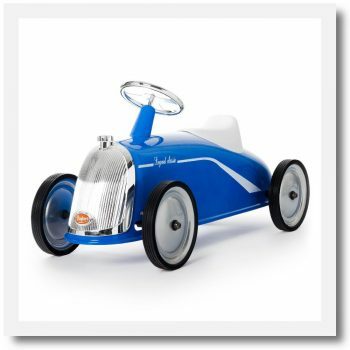 Contains 10 accessories (1 car, 1 helicopter, 1 truck, 1 ladder, 2 lights, 1 hose, 3 signs). 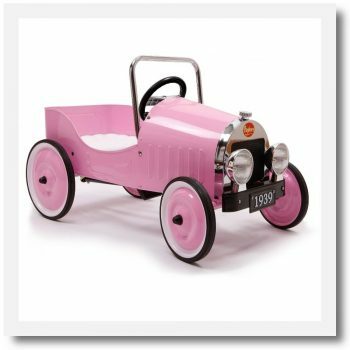 You may also like to browse our other Vilac items or our full range of children’s toys and wooden toys.